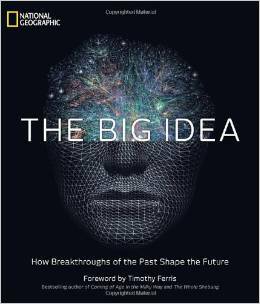 I am currently reading The Big Idea – How Breakthroughs of the Past Shape the Future, compiled by National Geographic. This visually stunning and well-organized manuscript explores some of the big ideas and big thinkers of the past and the present, who are shaping our present and future. If you have an interest in health and medicine, transportation and space exploration, information and communication, biology and the environment, chemistry and material, physics, or the cosmos, this book is a gem! What are your dreams for your professional or personal life, or for that matter, the world? How can you realize these dreams by tapping into the big ideas of others and capturing more of your inner genius? This entry was posted in Achievements, Dreams and tagged Barry Demp, Demp Coaching, Dreams, genius, realizing a dream, The Quotable Coach by Barry. Bookmark the permalink.